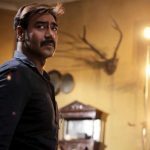 Stands high on content and performances, the new Hindi film Raid has got succeed to divert major toward itself on the very first day at the box office. 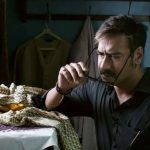 Starring superstar Ajay Devgn, Saurabh Shukla, and Ileana D’cruz in lead roles, this crime drama is getting mostly positive reviews from the critics as well as the audience. 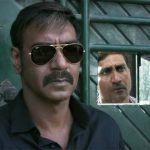 Directed by Raj Kumar Gupta, Raid is based on one of the most high-profile real income tax raids of the country conducted by Indian Revenue Services in 1980’s. As expected, the film is being liked by everyone because of its solid story and brilliant performances by the actors. On the opening day, Panorama Studios and T-Series Films’ this collaboration started its journey on an average note but picked up very well from the evening shows due to positive word of mouth. With approx. 35% of occupancy across the country on 3400 screens, the film has registered the opening business of 10.04 crores, which is decent but good for this genre. After this, Raid has dominated the opening record of Luv Ranjan’s Sonu Ke Titu Ki Sweety (6.42 crores on 1650 screens) and emerged the third best opener of the year 2018 so far. First & second places are acquired by the Sanjay Leela Bhansali’s Padmaavat (24 crores including Thursday’s previews on 3500 screens) and Akshay Kumar’s PadMan (10.26 crores on 2750 screens) respectively. As the film is getting a positive response now, so it expected to take a good jump over the weekend and rake around 40 crores in first 3-days at the domestic box office.